Tested and Proven in Australia, and with a mileage warranty of up to 80,000kms. You get a tyre designed to go the distance and that’s what makes Cooper, Tyres worth owning. BUT WHY IS THE LATEST TYRE TECHNOLOGY IMPORTANT? Think about it like this. Cars have come a long way since they were first invented. They were hard to control and didn’t even have brakes. Although, cars are now a lot safer and more reliable than they were back then, we all know that there is a massive difference among car brands and models when it comes down to technology. Well, just as with cars, not all tyres are the same they look similar but there is massive difference in technology and that matters. Your tyres are the single most important safety feature on your vehicle. The latest tyre technology makes a massive difference to strength, stability, performance and value for money. Like shoes, your tyres must suit the places you want to go. You wouldn’t wear hiking boots to work or business shoes to the beach. Only Cooper tyres have the latest tread technology for maximum performance and up to 30.3% MORE tread depth than other leading brands. A tyre’s carcass is like a house’s foundation. You need a strong foundation for the construction that goes on top. Cooper has developed three different carcass constructions to match your specific requirements. Armor-Tek3, High Tensile Construction and R-Tech. We all know the quality of plastics differs greatly - some plastics are brittle while others are strong and flexible. It’s the same with the quality of the compound in tyres. Only Cooper tyres contain up to 4X MORE chemically-coupled silica across the range for maximum performance and grip in the wet. 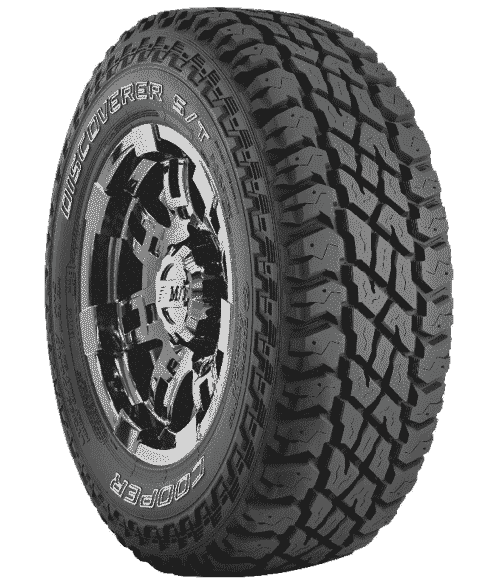 Made with deeper treads to give your better traction off-road and more mileage. With the latest technology in tread design, featuring Cooper's unique Armor-Tek3 technology and advanced compounds, Cooper Tires are Tyres Worth Owning. Engineered to give you more mileage without sacrificing grip. Featuring the latest leading-edge advancements in tyre technology and with leading treadwear ratings and high traction ratings, Cooper Tires are Tyres Worth Owning. By comparing the tread depth in 4WD tyres or the treadwear rating in SUV/Car tyres, you know exactly what you're going to get out of your investment. Compare the value before you buy. For peace of mind, don't buy anything without a decent warranty. We are so confident in our tyres that we offer you a nation-wide mileage warranty of up to 80,000kms. City. Country. On-Road. Off-Road. We use Australia’s harsh terrain as a testing ground for our current range of tyres and new prototypes. UTQG stands for ‘Uniform Tire Quality Grading’. These ratings help you easily compare the capabilities of different tyres. Find out how to determine your tyres' load-carrying capacity and speed rating. A little care goes a long way. Here are our top tips for getting the most out of your Cooper tyres. Found a word or phrase that you aren't sure of? Find it in this compilation of commonly-used terms in this website. Chances are it's been asked before, have a look at our list of frequently asked questions. Get more information about the right Cooper tyre for your driving by generating a quick quote now. Find your nearest Cooper Tires Authorised Retailer. Do you know how to compare the value on tyres?